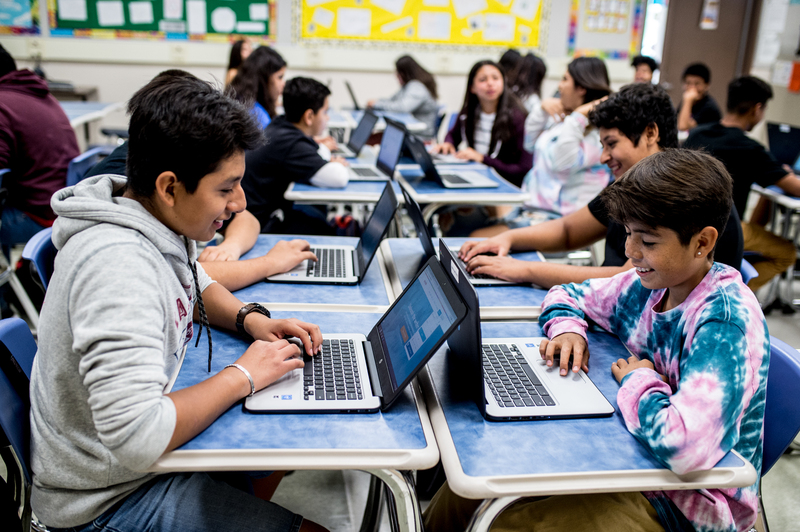 EL MONTE – The El Monte Union High School District Board of Trustees on June 20 adopted a $131 million 2018-19 budget that supports its Local Control and Accountability Plan (LCAP), which calls for boosting student access to technology and online learning programs, adding support staff to help the District’s highest-needs students achieve academic success and increasing the availability of community liaisons to parents. The budget is based on a funding system that is designed to allow Districts to decide how best to use state dollars to meet the academic and social needs of students, particularly those designated as high-needs (low-income, foster care and English learners). In 2018-19, the District will invest $27 million for these students through programs outlined in the District’s LCAP, a three-year spending plan that guides District efforts to improve student achievement by setting annual priorities and strategies to achieve those goals. To ensure students can access technology resources outside of the school environment, the District will purchase laptops and provide students with additional math support through an online program. The District will also provide online learning tools to allow students to work at their own pace and receive added support for content they have previously struggled with. Paraeducators will continue to be placed in English language development classes to support the academic language development of English learners. Counselors will meet with students and monitor their progress toward college readiness on an ongoing basis. A teacher on special assignment (TOSA) will continue to be placed at each comprehensive high school to work directly with English learners. A director of pupil services will work with staff across the District to address the academic, mental, social and emotional needs of all students. El Monte Union’s development process for the LCAP included gathering input from its LCAP Committee (composed of teachers, union representatives, students, parents and administrators); surveys distributed to students, parents and staff; and feedback from its District English Learner Advisory Committee, Parent Advisory Council and staff.